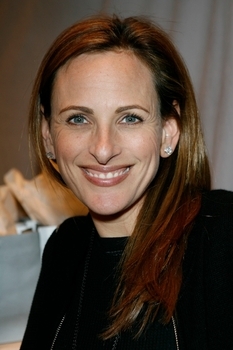 Marlee Matlin is all smiles wearing her ziamond cubic zirconia cz stud earrings in 14k white gold. Ziamond offers a variety of stud earrings with round, oval, princess cut, emerald cut, heart, marquis, cushion cut, asscher cut, trillion cut and pear shaped cubic zirconia cz. Choose the carat size that best compliments your lifestyle.